​This app allows the user to count the number of Fluorescent Bulbs installed within their building. 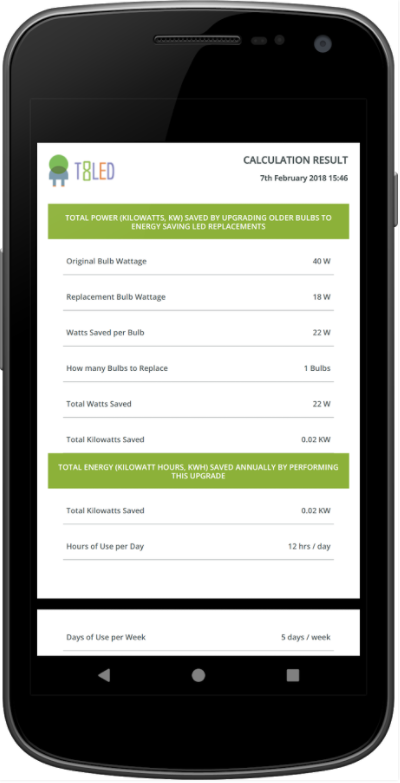 From this, the app will determine the approximate energy cost-savings to be expected once switching to T8LED Ltd.’s LED products. The user will also have the option to request a free no obligation quote from us via email.